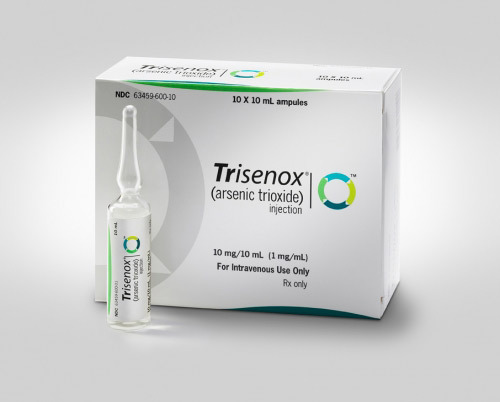 Arsenic Trioxide is a very important oxide of arsenic and has a wide variety of applications. The inorganic compound comes in many forms, depending on its use. Arsenic Trioxide can be a white or transparent, glassy amorphous lumps or crystalline powder. The noncombustible chemical is corrosive to metals when in a moist environment. The hazardous chemical is toxic by ingestion and is slightly soluble in water. Arsenic Trioxide is used as an oxide as a wood preservative and in combination with Copper Acetate the color called ‘Paris Green’, that is used in paints, is created from Arsenic Trioxide. Other uses include medical applications, and are still to this day, a chemical of biomedical interest. 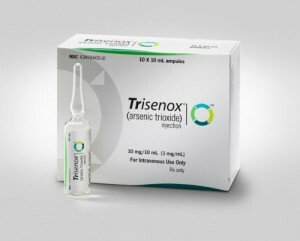 Arsenic Trioxide is commonly used to treat cancer, mainly leukemia. Arsenic Trioxide must be segregated from excess zinc filings, halide acids, fluorine, tannic acid, chromic oxide, aluminum chloride, hydrogen fluoride, sodium chlorate and other chemicals. Severe over exposure can be fatal, so it is necessary that Arsenic Trioxide be stored properly and compliant. Arsenic Trioxide reacts vigorously with fluorine at ordinary temperatures and must be stored separately with fluorine. U.S. Chemical Storage offers solid partition walls for storing chemicals in the same chemical storage building. This eliminates the possibility of reactivity with other chemicals and increases operational efficiency. The hazardous chemical should be stored in a tightly closed, dry and well-ventilated chemical storage building. U.S. Chemical Storage offers a safe and secure chemical storage building for storing Arsenic Trioxide while offering customizable accessories such as mechanical ventilation and passive ventilation for increased safety. It is necessary that thorough research is done before storing of Arsenic Trioxide and other hazardous chemicals.